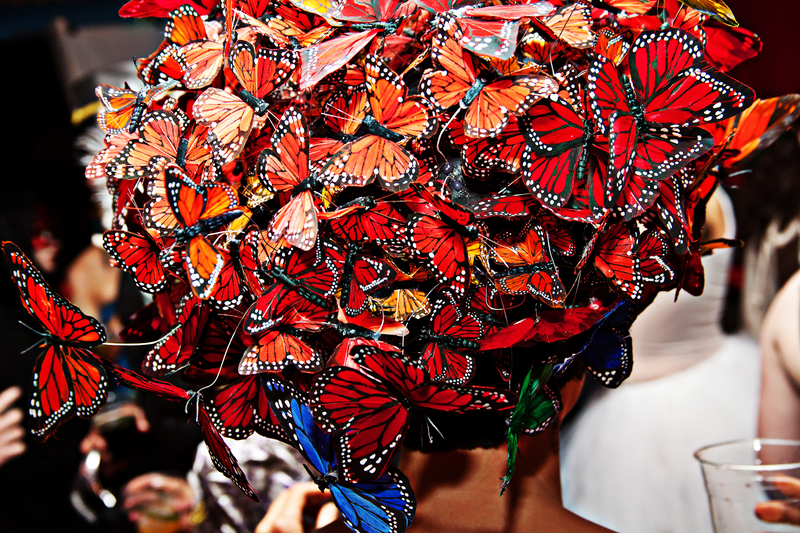 From the first moment I laid eyes on Alexander McQueen’s magnificent butterfly hat, I knew I had to make one. This past Halloween was the perfect opportunity. 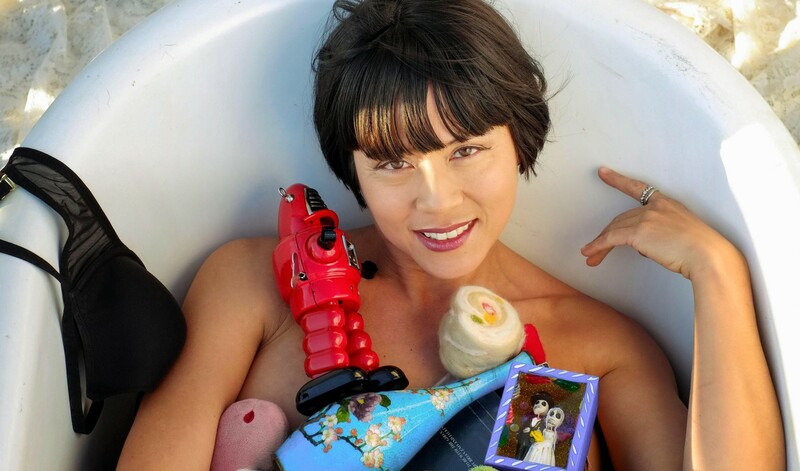 I can’t believe it has taken me so long to getting around to blogging about it. This is actually the second version of this hat. I laugh at how few butterflies I have in this picture. I think I purchased three times that amount when all was said and done. They are painted feather butterflies. I purchased all sizes and colors because I was desperate, I wiped out all of the butterflies in Boulder county. The styrofoam head was found on eBay for $12. Floral foam is available at Joanne Fabrics. 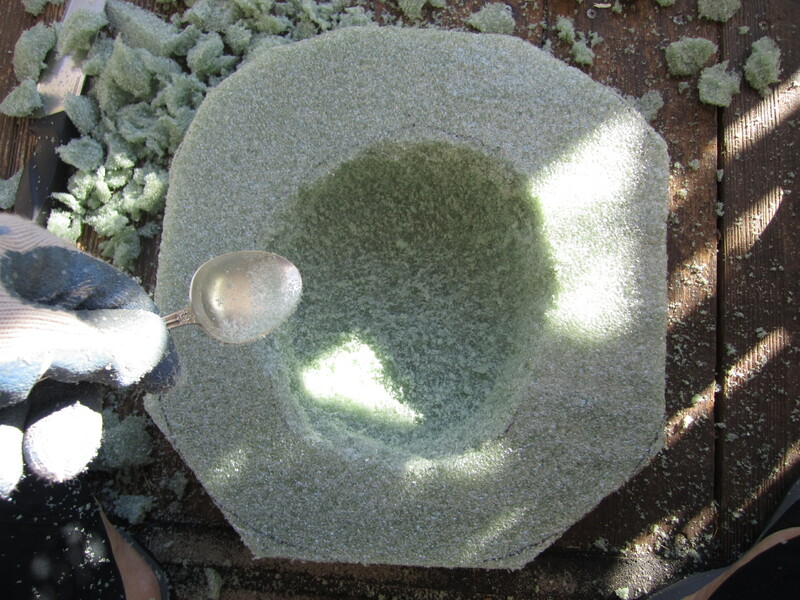 A spoon and serrated knife are sufficient for the rough shaping. Do not do this inside! 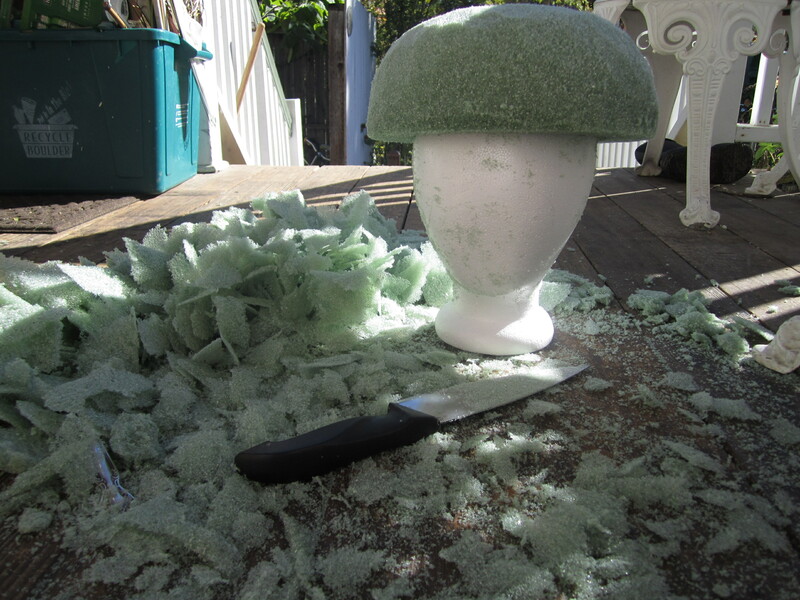 The floral foam dust goes everywhere! Frequently reference the head for size and fit. 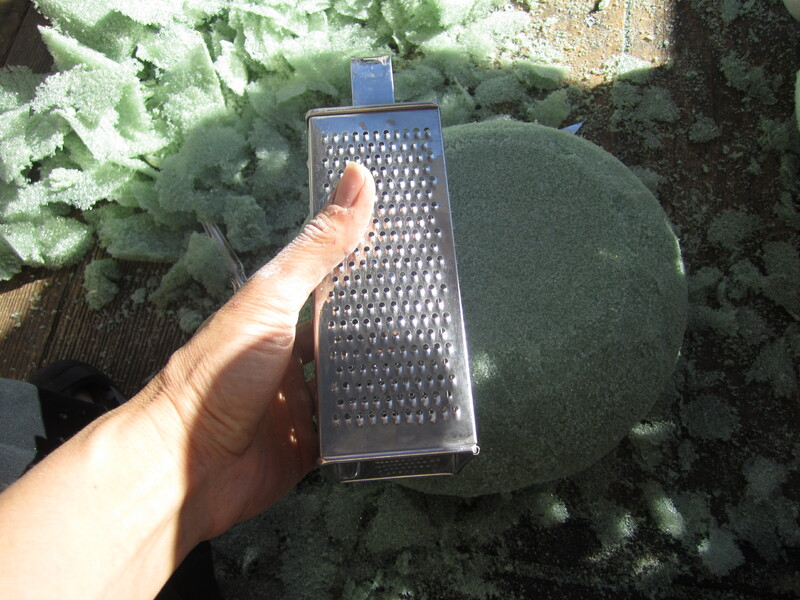 The small holes on a box grater are great for fine shaping. Leave enough depth for the wire to find purchase. 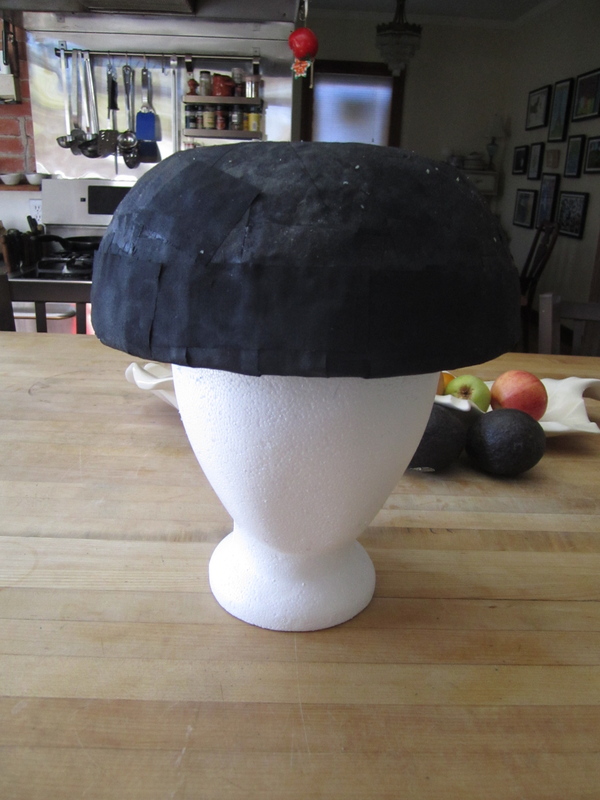 Affix strips of black fabric with craft glue to the foam. This keeps the wires secure and prevents the foam from crumbling. I’ve read that you can use a latex swim cap, but that doesn’t account for the inside. 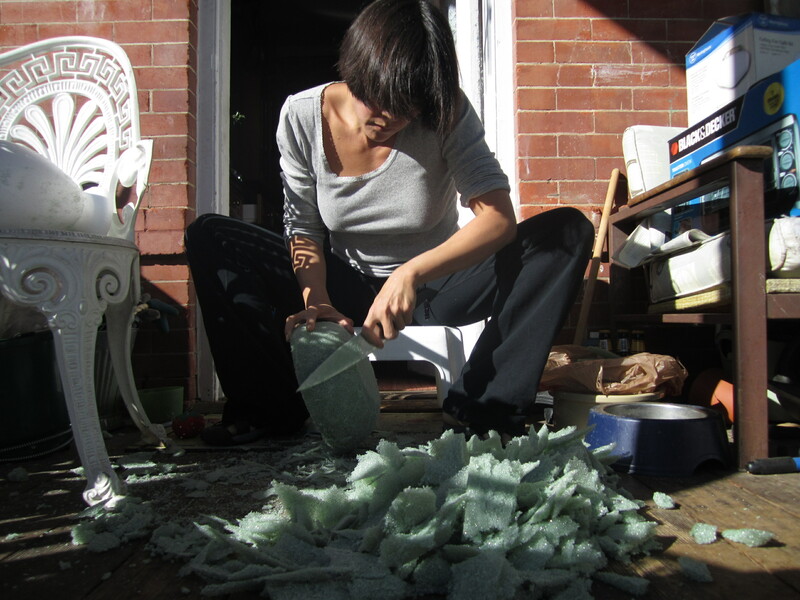 Floral foam crumbles are very itchy. Take the time to secure the attachment points of the wires to the butterflies (even if it seems like they are on tight) with a dab of hot glue. They will come loose from all the handling. 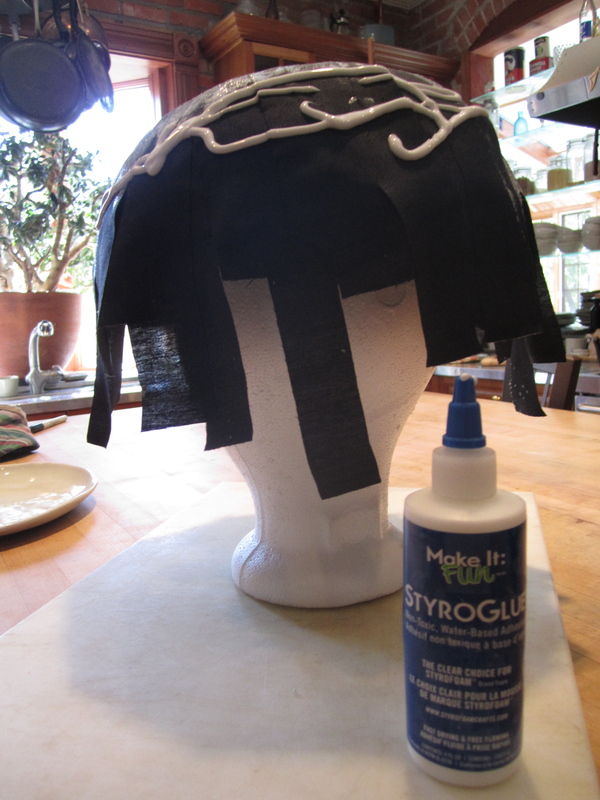 Also use a dab of glue where the wire inserts into the helmet, do it as you go. Version 1.0. I removed all the butterflies because 1) they were falling off because I hadn’t secured them with glue and 2) I didn’t like the way I could see the black helmet. 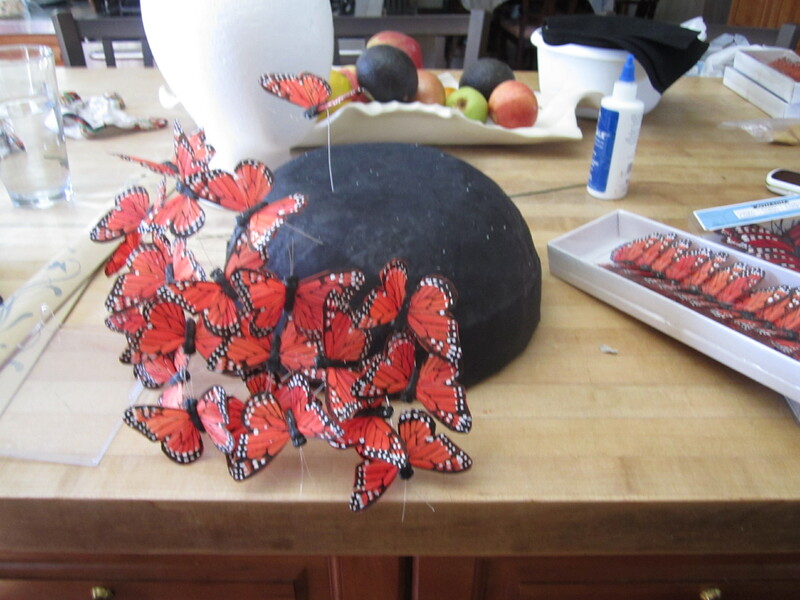 I started over by gluing butterflies directly to the hat and then adding ones on wires. Party night: I wore a black bra and boy shorts, an Elaina Bodybind and gladiator platforms. 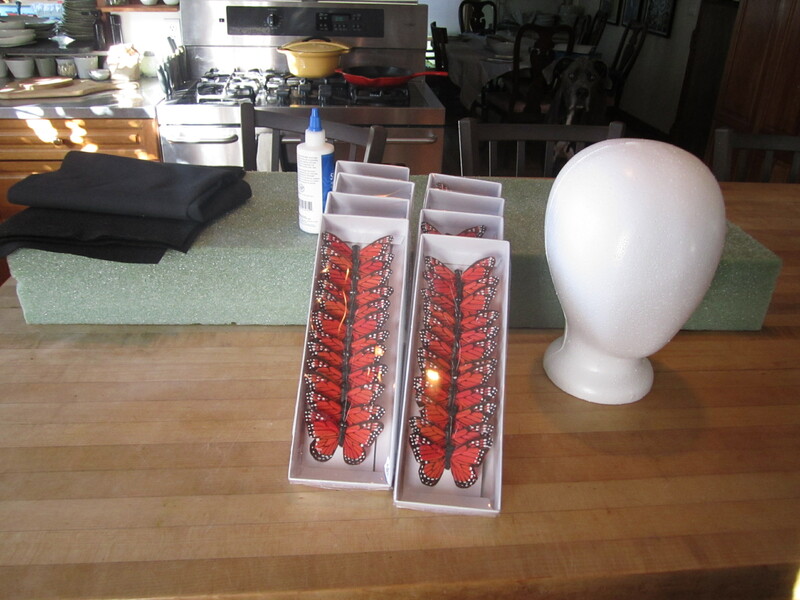 I affixed loose butterflies to hair clips which I attached to the bodybind and shoes. I’m with my main man, Ali G.
This entry was posted in Fashion, How To, Husband, Performance, Pole Dancing and tagged Alexander McQueen, Butterfly Hat, DIY, halloween. Bookmark the permalink. Are the butterflies and butterfly hat available? I couldn’t tell if they were free or not. If they are free, could you put them in my box. When would you like me to pick it all up. That is not for free, or for sale. I think it cost about $$200 to make when all was said and done. I’m glad you like it, though. Be careful darling. That man may seem like Ali G in the sack, but I knew Ali G and he is no Ali G. I have a friend who met “Bobby De Niro” at a bar. Even after the weekend getting the bone at his home, she insisted it was really him. But nooo…He was a look alike shmuck and not the real actor! So what I am saying is just protect your heart! I knew it was him because his ‘art was his second biggest organ! As for our friend who was duped by the DeNiro impostor, she should have smelled a rat when he hit on her. It’s common knowledge that he favors brown sugar. It wasn’t hard at all to find the butterflies, but it gets expensive because it takes so many of them. You can find the packaged butterflies on wires at Michael’s craft stores or on-line at places like this http://preview.tinyurl.com/k634vcc I read a really great tutorial that recommended using a black swimming cap to cover up the foam hat, fantastic idea. Just make sure to anchor it down. Also, use a dab of glue on the connection point between the butterfly and the wire, and the wire and the hat. They come loose otherwise. Good luck! 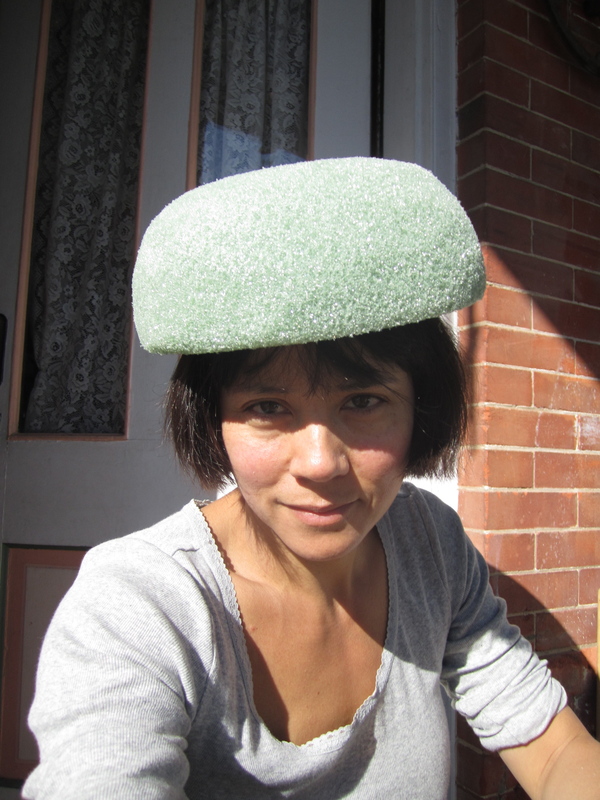 OMG Thank you soo much Ms. Vivienne Hope i could create same hat… can I ask one more? How many pieces of butterflies did you use in creating that hat? It was at least 16 boxes. I used multiple sizes, too. My first picture shows eight boxes but you really need to go over the top to create that filled in look. I’m sure you will be able to make one yourself. It isn’t hard, it just takes a little time and a lot of patience. Gluing all those connections is a little tedious. It adds up for sure. Years later I found this post and just have to tell you how amazing it is!! I love it, I may have to try it with butterflies and little fake birds! So cool! It’s a fun project to do. 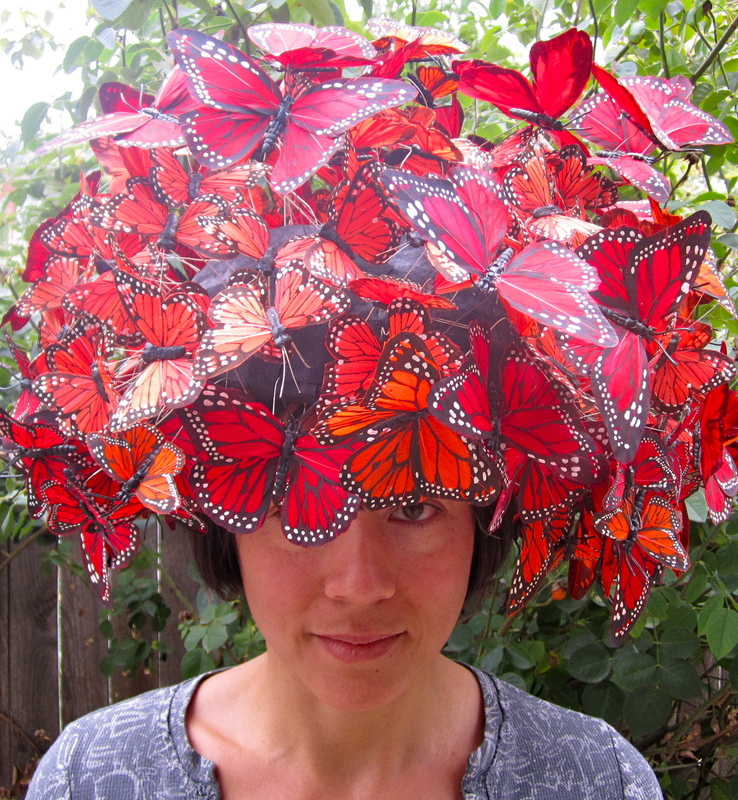 Don’t forget to glue some butterflies directly onto the surface of the hat. It gives it a lot of depth. Good luck and send me a picture!